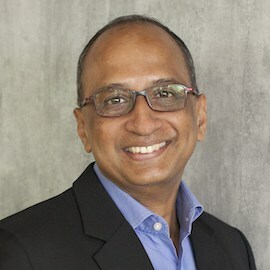 Jayanth Bhuvaraghan is Chief Mission Officer of Essilor International, where he is a member of Essilor International’s Management Committee. Reporting to the chairman, Jayanth is responsible for deploying the Essilor mission of “Improving Lives by Improving Sight” around the world, bringing good vision to everyone in a sustainable, responsible way. He holds a particular focus on the 2.5 billion people who do not have access to proper vision care, 90% of whom live in developing countries. His responsibilities also include oversight of the corporate sustainability and communication functions of the group. Jayanth joined Essilor in 1998 and was responsible for successfully launching and developing operations in India. In 2007 he was appointed President South Asia, ASEAN, Emerging Brands, Lab Operations and IT for the AMERA region, based out of Essilor’s regional HQ in Singapore. He served as a member on Essilor International’s Executive Committee and is currently Chairman of the Essilor Social Impact Fund dedicated to creating sustainable social impact through vision care. Jayanth is a materials science postgraduate and alumnus of Insead Fontainebleau Advanced Management Program. He has over 37 years of diverse experience running various businesses, of which over 20 years have been in the Opthalmics Optics Industry.